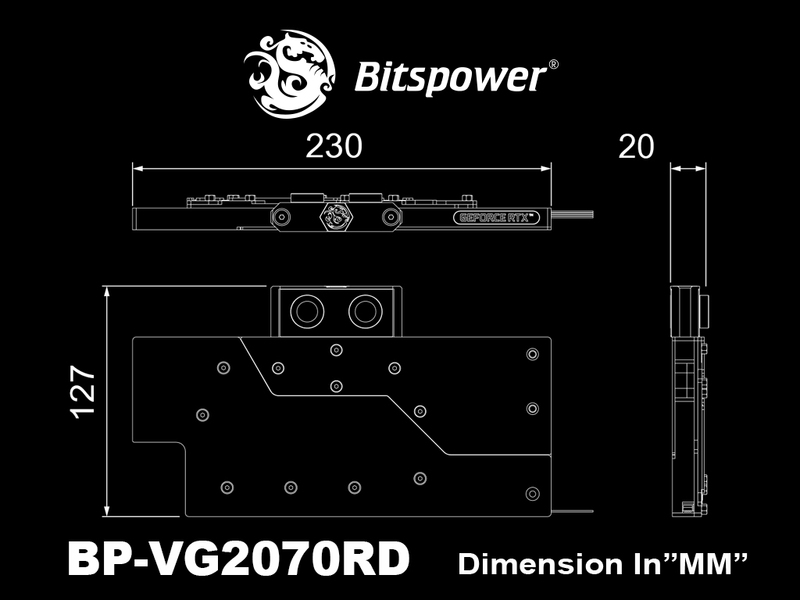 The Bitspower Brizo VGA water blocks are out and ready for the NVIDIA RTX 2070 graphics cards. The Brizo unique design will keep your NVIDIA card performing at maximum power while making sure it doesn’t overheat. With its clear see through design and brushed silver colored logo plate, the Brizo block brings elegance and style to your PC build. 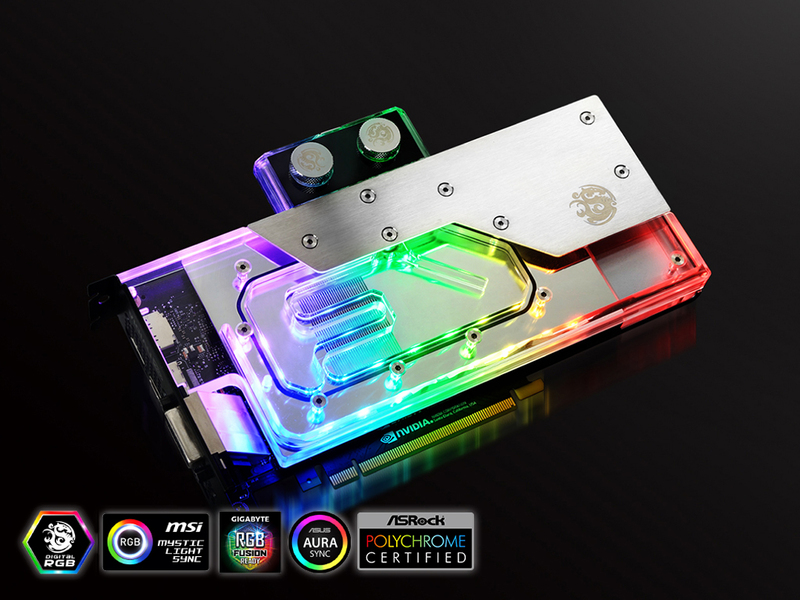 Covering the full length of the card, the water block is layered with a nickel and chromium plated copper base plate that is meticulously carved to allocate the most contact over the GPU and VRM area. The top layer is made of durable acrylic equipped with a Bitspower Digital RGB LED strip that is sure to make your system looks amazing.